* Holding too many social media accounts- Every site works in a similar fashion hence choose platform which is best suited for your product. Start by one or two accounts and post your genuine, well thought content. Once you start gathering attention and followers you can diversify. * Always answer the queries – Interaction is key to traffic flow. Answer all queries in an honest way even if some queries make you uncomfortable stand your ground and defend your product. This shows that you believe in what you are selling. I recommend not getting in altercation with anyone but being firm in what you say. * Participate – Participate in different online forums as guest or after creating account. Voice your opinion, try to win some loyal customers and keep posting regularly. Only point of caution here is : Do not overdo it. There is no such thing as overnight success in digital marketing (exception is a rule of nature). Let’s not waste our hard earned bucks and grey matter on fantasyland rides. Steady performance and patience will bring you all the traffic you are looking for, just keep on posting and interacting religiously. Everyone in the area of marketing understands the importance of advertising brand. There should be consistent efforts to put your brand into the market but what you need here is to focus on quality content that can help you put your brand on map something mediocre content won’t do. Create value of ‘being original’, being creative and new. There’s a lot of gimmick going on internet these days about how much articles one should post. Don’t fall to these ‘over the top’ norms. What you need is: To post coherently, keeping in mind the quality which is the only criteria that will set you apart from existing competition. Moreover try to glam the monotonous plain text because no matter how great it is people will get bored after few lines or paragraphs. A good idea is to add relevant pictures, graphs, some pop videos. This will ensure the undivided attention of the viewer. There are so many data optimization techniques going in market these days. Keywords is one such way where you can add certain most searched words in your content, make sure they are relevant to your site else you might get blacklisted by the service provider. Use keywords that are searched on your site to increase the traffic. Longtail keywords are more generally used now days. Its advantage flows both ways: users quickly get what they are looking for and relevant business attracts right customers. 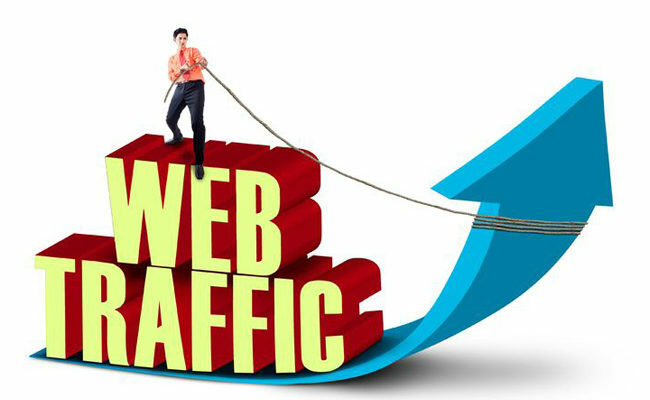 * Go for only high paying backlinks. We need traffic not only jazz. * Make use of link directories. * Keep updating your skills in field of SEO and related techniques. A responsive site is need of the hour because you not only get traffic from desktop users but from other device users also. This includes android based phones, Mac platforms, tablets etc. Make sure your site responds to all these platforms in an appropriate way, the items on your page should adjust according to the device. This is great for your business as it is user friendly. For example: If your website is about selling homemade jams and jellies, the icons should be able to adjust in small screen of mobile phones, the buy now, add to cart, compare features should all work in the same space for an efficient and professional outlook. * Do not join every community or blog you come across. * Analyse your most potent traffic drawing areas. * Keep track of your webpage – check how quickly links open or respond to a query. * Focus on key products that are drawing more traffic. * Google trends – Gives results based on volume of query i.e. number of times it’s being searched. * Wordstream – It is a free service. Give your ideas for keywords to use for maximum result. * Hootsuite – Helps in efficient manoeuvring of different social media pages. Whenever a website is created it often exists in more than one version. Whether you made it yourself or got it customized there is never one end product. It is an ideal way because testing becomes relevant and it is always better to have another option. As usual Google provides a very helpful tool – A/B split testing under Google Analytics. Run different versions of your site to see which one is better. Just get a basic learning of A/B split testing tool and you can get started right away. Moreover it can be used after the initial testing also. This compiles my list of ways for increasing traffic. It is not an instant magic recipe so live with them for few weeks and you will definitely notice a positive change.